Do you dream of living the life of luxury enjoyed by one of the most famous football stars of all time? Thanks to the EuroMillions you can do just that and you won't even need to set foot on a football field! Lotto players from around the globe will be holding their breath tonight when the draw for a massive €115 million EuroMillions jackpot takes place. This is the second triple figure EuroMillions jackpot in just a matter of weeks, after a jackpot of £170 million was up for grabs in October. 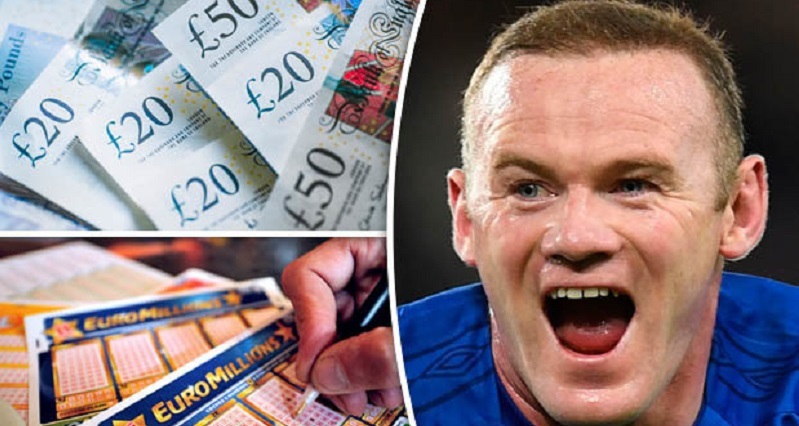 Winning tomorrow night's jackpot will make you wealthier than some of the UK's biggest celebs such as Wayne Rooney, Elton John and Ed Sheeran. You still have to time to purchase your EuroMillions tickets before the draw; play now and win big tomorrow! Locals from areas not taking part in the European EuroMillions lottery game can play Euro Millions lotto online through the internet! You do not have to be a resident of any of the joining countries to play Euro Millions lottery. You Are Our Next EuroMillions Online Lotto Winner? Did you know? : Giant Lottos routinely emails subscribed players one-of-a-kind promotions and offers that are not offered anywhere else? Sign up right now and receive daily reduced offers, that could be up to 30% off the globes biggest lotteries!